Why 20,000 Uber Drivers in Bengaluru Went For A Strike? So, planning to get your car registered in Uber? This is what you should know before doing it. Lets see what Manjunath has to say about this, Manjunath S. resigned as an operations manager in a transportation and logistics company two months ago and joined Uber after seeing an Ad that said he could earn up to Rs. 90,000 a month. “I bought a new car and have to repay the loan, but the company blocks the mobile phone for a week if a consumer complains. They promise to pay incentives of Rs 100 per trip but if we do not complete the target of 13 trips a day, we get nothing,” Manjunath said. Manjunath was among 300 Uber drivers who held a protest at the company’s MG Road office on Wednesday. 20,000 Uber drivers stopped services on Thursday protesting the company is not paying them the incentives they were promised . They will also hold a protest at Uber’s office in HSR Layout. Swamy DP, a driver who joined Uber nine months ago, said the company did not listen to their point of view. “Once a vehicle hit my car and I had to ask the customer to find another vehicle. The customer complained to Uber, which disabled my phone for a week. This happens frequently. The company does not listen to our problems and when we come to their MG Road office, we are not even allowed to park our vehicles,” he said. Drivers said they had not been told they would be charged for internet connections for their mobile phones. 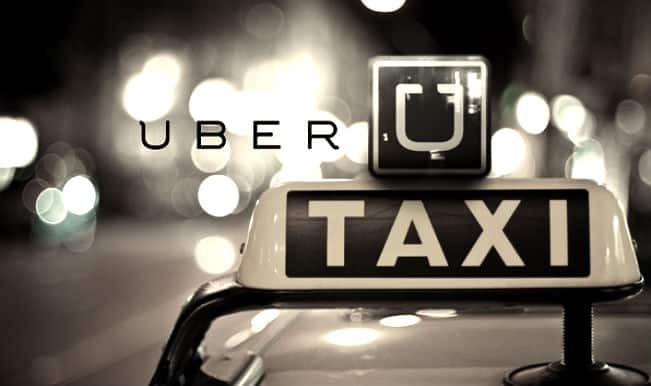 “We were given the mobile phone free of cost but not told Uber would deduct Rs 300 a week for internet connection,” said Nanjundaswamy, president of Karnataka State Drivers’ Association. Next story Fancy a Road Trip From Delhi To New York via World’s Longest Highway? Previous story [Watch] ‘Virginity is a State of Mind’ This Viral Video Proves it!